Cover art for Natural Suspect by William Bernhardt. Illustration by Peter Thorpe. 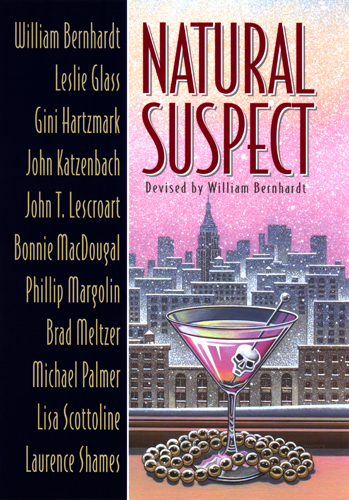 Cover of the 2001 Random House hardcover first edition of Natural Suspect by William Bernhardt. Natural Suspect, released in 2001 by Random House, is a collaborative effort of 11 authors, assembled by William Bernhardt. All royalties from the project were donated to the Nature Conservancy. Design Director: Gene Mydlowski. Design and illustration: Peter Thorpe.